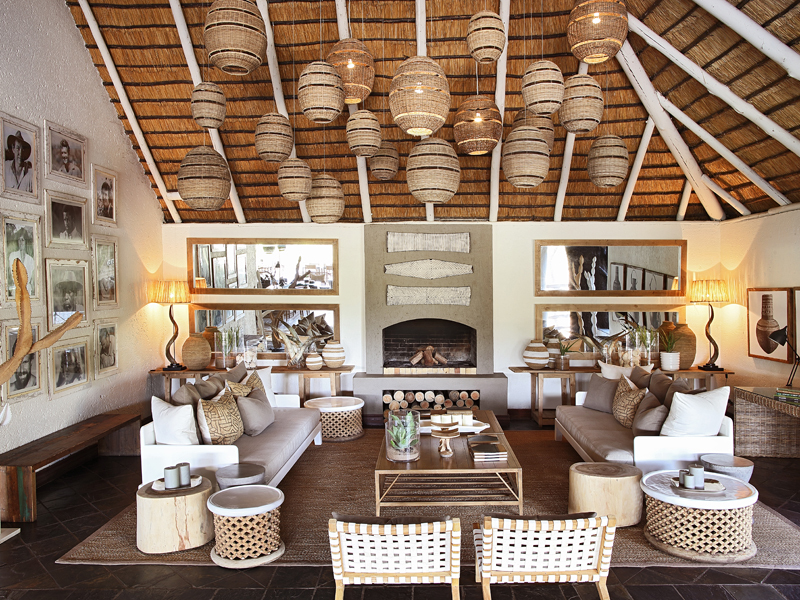 With 10 air-conditioned chalets set in prime game watching country, intimate Founders Camp is a top choice for a family safari. 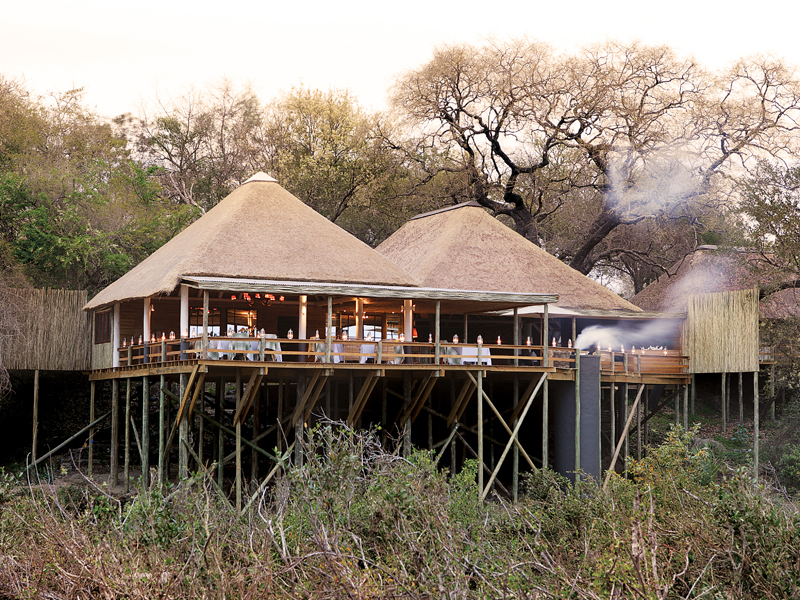 Lying under shady trees and overlooking the Sand River, Londolozi Founders Camp draws on the spirit of past guests and staff who have contributed to its development. 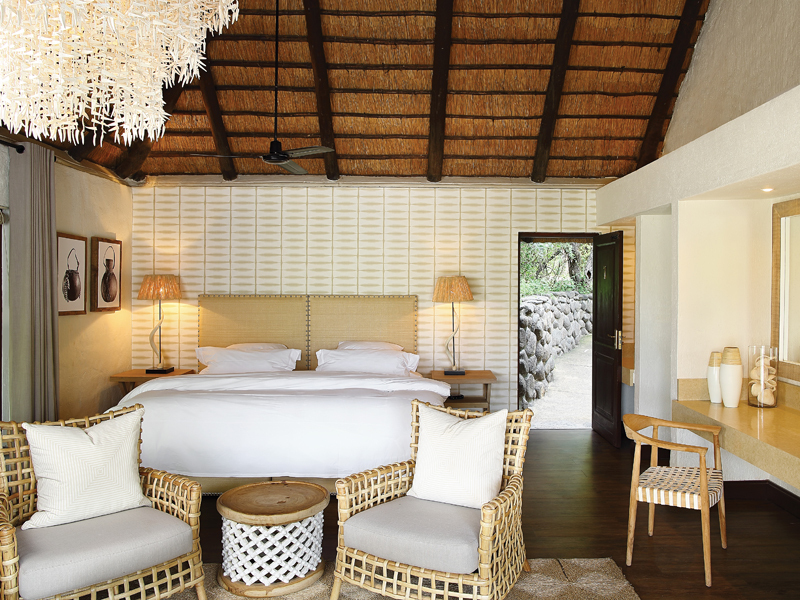 Built from timber, thatch and canvas, the camp has a classic safari atmosphere and manages to blend sophistication and informality into an agreeable ambience. 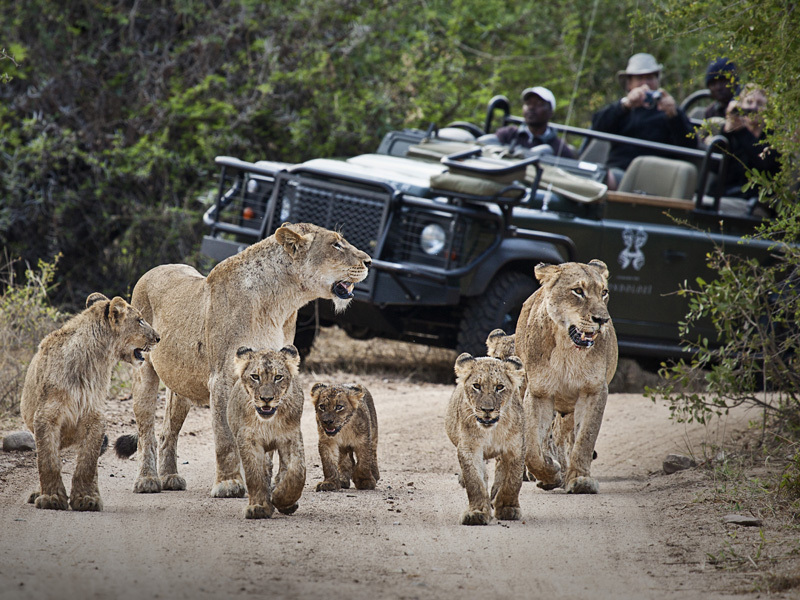 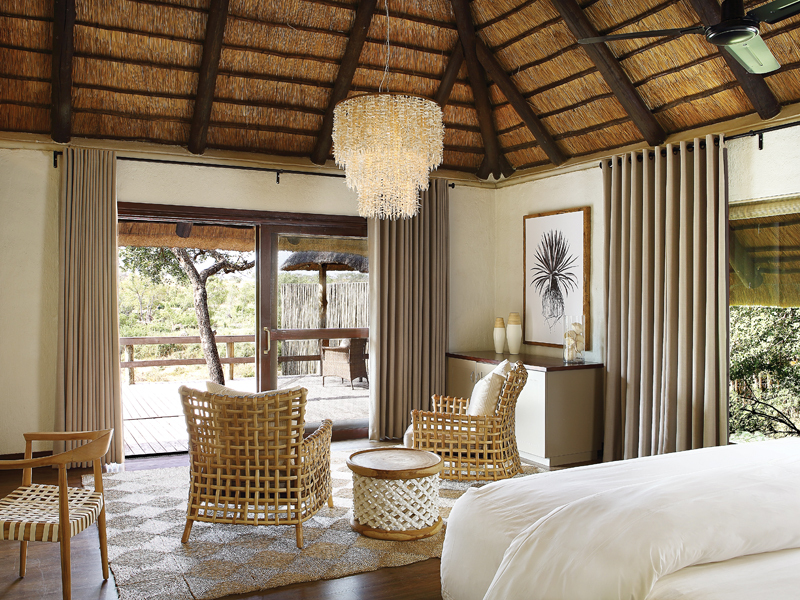 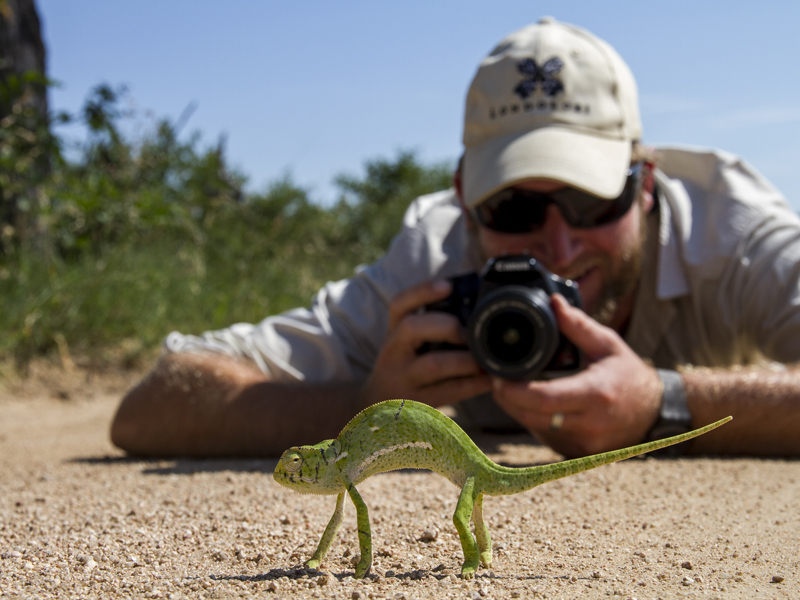 Founders Camp lies in the exclusive, family-owned Londolozi Reserve which in turn is part of the Sabi Sand Reserve. 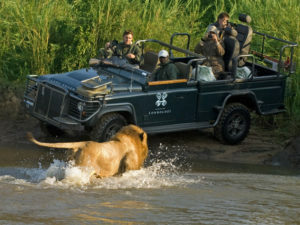 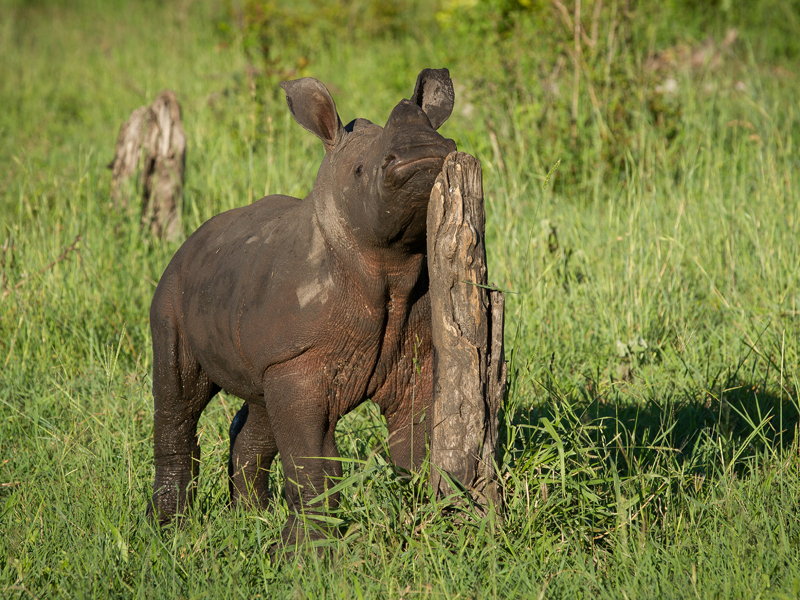 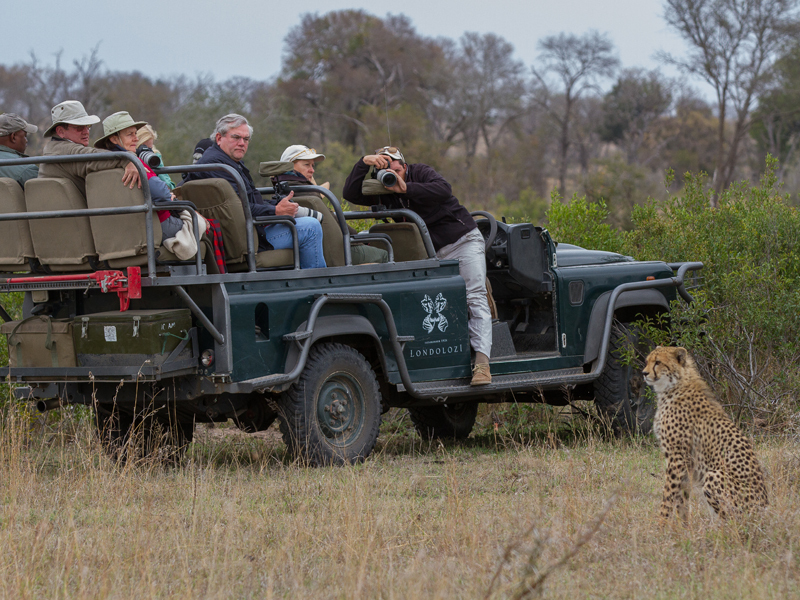 Guests enjoy morning and afternoon game drives with expert guides and sharp-eyed trackers, on the lookout for the Big 5 and other animals. 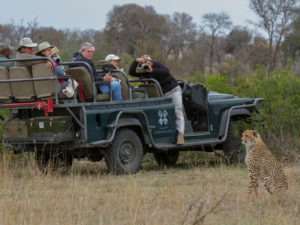 The area is rich in wildlife and has a reputation for excellent leopard sightings. 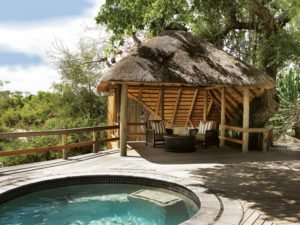 Back at camp there is a pool and fitness centre with massages available as well as a yoga deck. 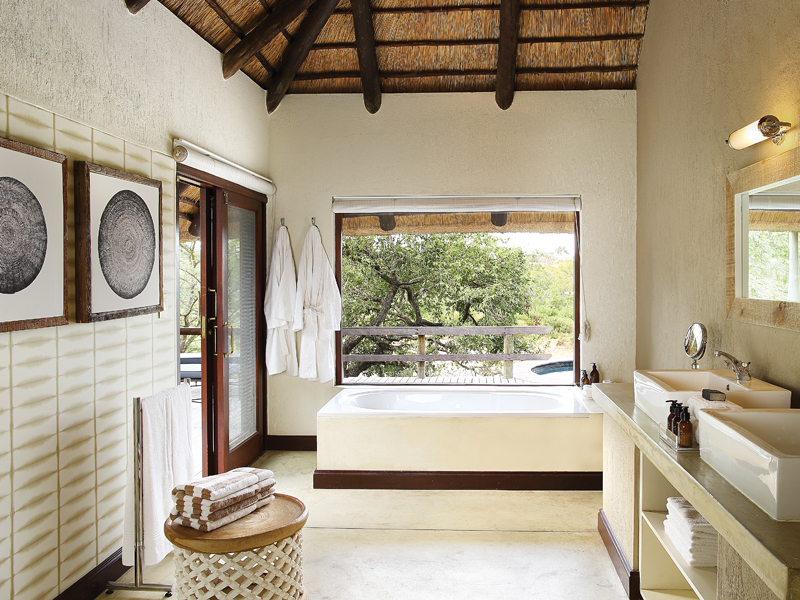 Chalets are beautifully designed and well furnished and come complete with river views and a private plunge pool. 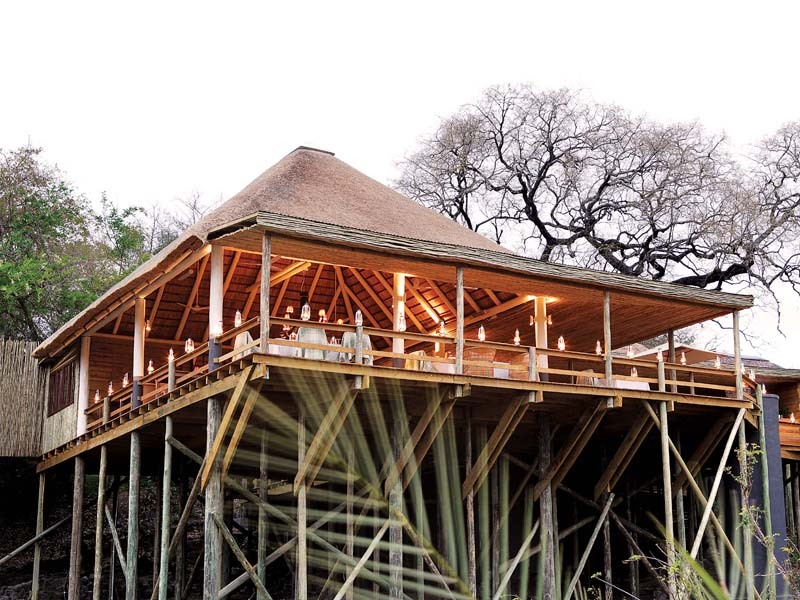 Intimate and exclusive, Founders Camp is one of the few superior lodges in the Sabi to accept children of all ages though we would recommend a minimum age of six years old. 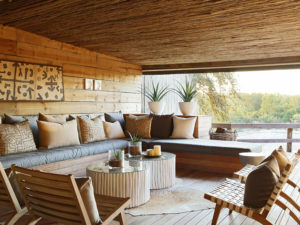 Three of the 10 chalets have been designed to accommodate families with children, and there are children’s safari activities available too. Each of the 10 chalets at Founders Camp enjoys a riverside setting and comes with private views from its outdoor deck. You will also find a pair of outdoor showers on the deck as well as a private plunge pool and covered sala, ideal for an afternoon siesta. 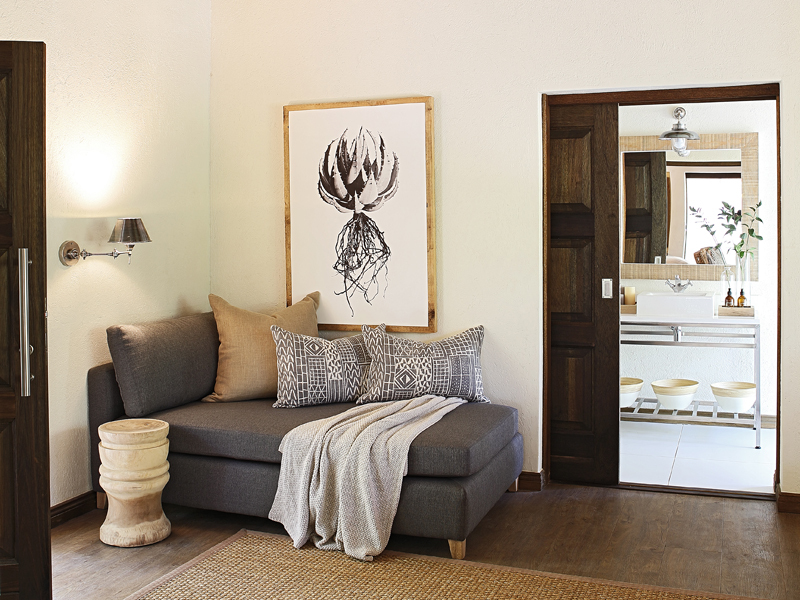 Step inside your chalet and you find an elegant, air-conditioned suite in shades of grey, white and earth pastels. 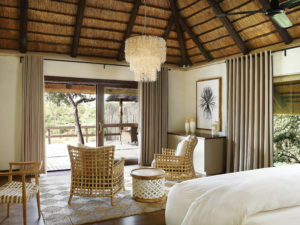 There is a double bed, easy chairs and tables and plenty of room to unpack and relax as well as a full bathroom. Three of the chalets are slightly larger and have a lounge with fireplace as well as enough space to accommodate two children. 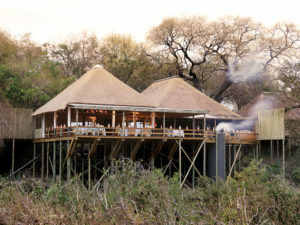 Founders Camp is built around its main dining and lounge area where you’ll also find the bar as well as a great deal of outdoor space in which to relax and watch for wildlife at the river. 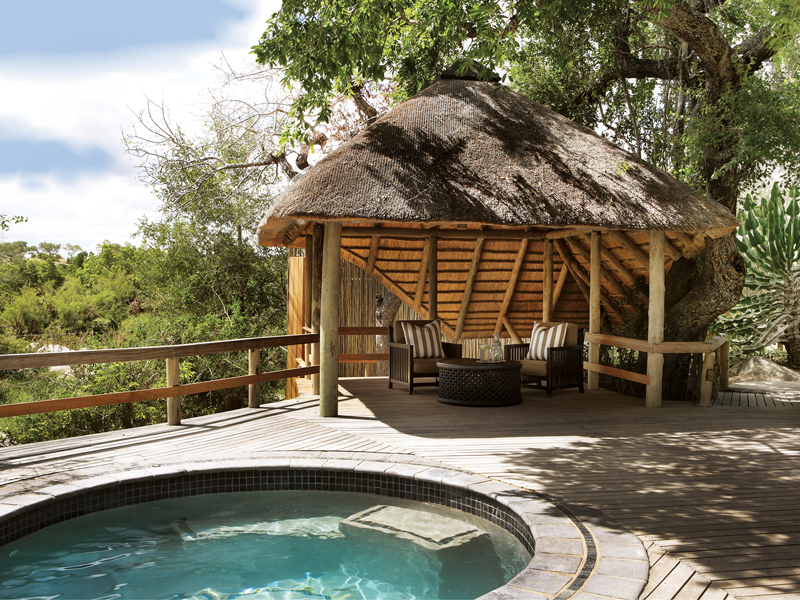 There is a pool at camp as well as a plunge pool at your chalet. 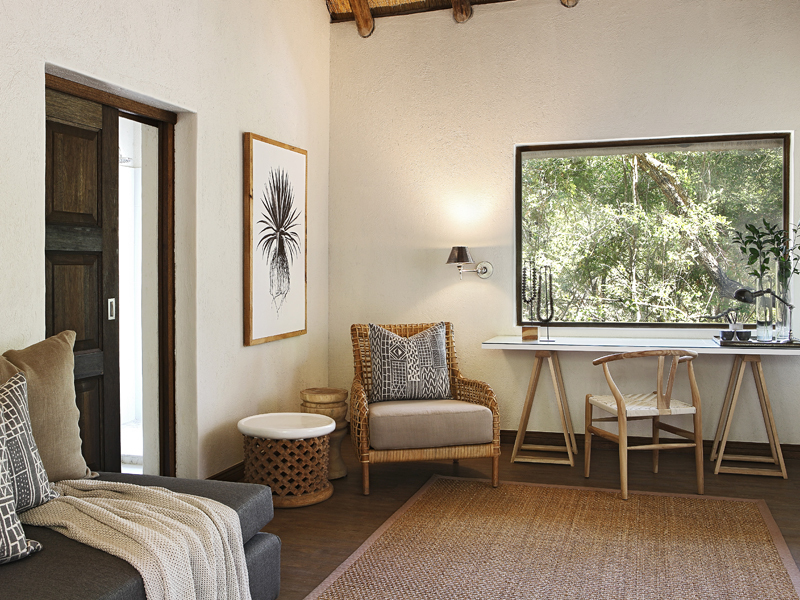 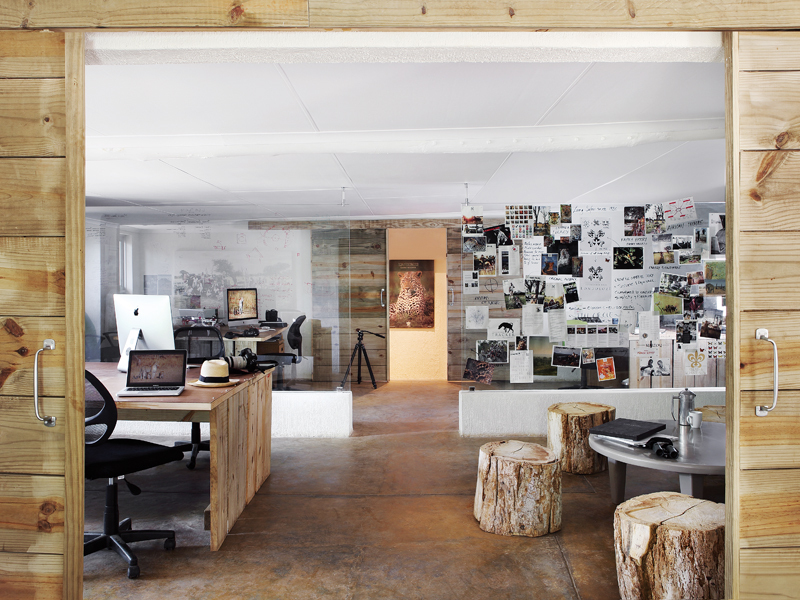 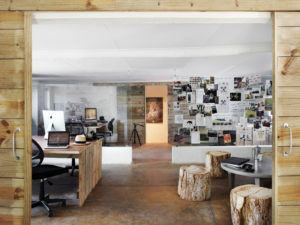 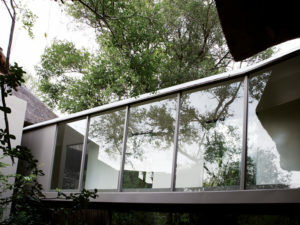 Like many Sabi lodges, Founders Camp has a fitness centre where therapists offer massages. Few other camps in Sabi Sand can however boast a yoga deck like the one at Founders Camp – suspended in the branches of an ebony tree. Meals are enjoyed outside on the deck, around the campfire in the traditional boma, or in the main thatched dining room. Thanks to its riverside setting, there is good game viewing to be enjoyed from the comfort of camp but morning and afternoon game drives are the best way to explore the Sabi wilderness. 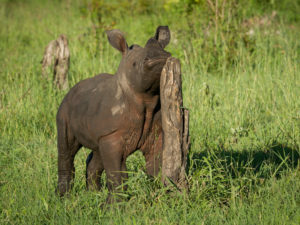 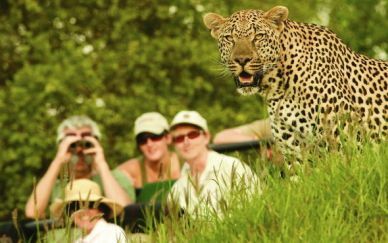 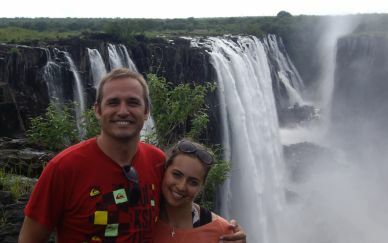 An expert guide, aided by the sharp eyes of a Shangaan tracker, will be on the lookout for the Big 5 as well as other familiar creatures such as giraffe, zebra, hyena and hippo. 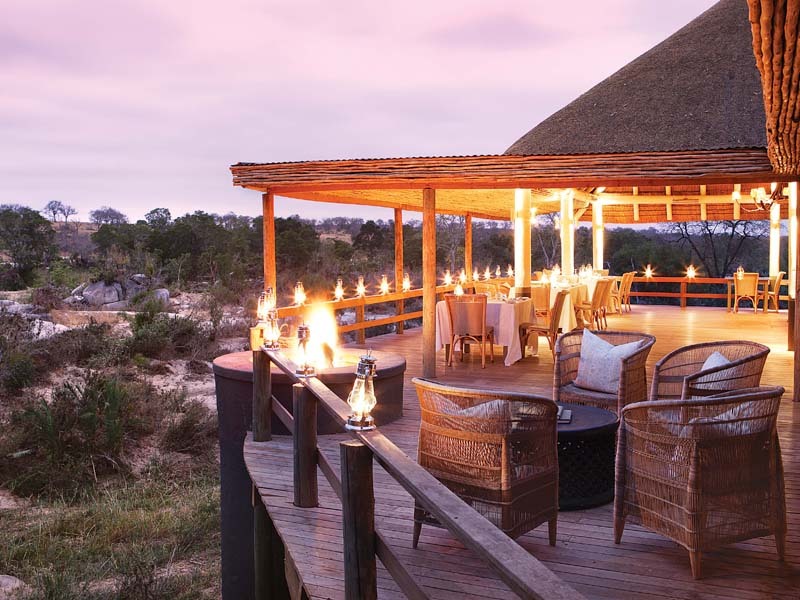 A private setting means guests can go on guided nature walks as well as spot-lit night drives, a great way to spot Africa’s more unusual and elusive nocturnal creatures. 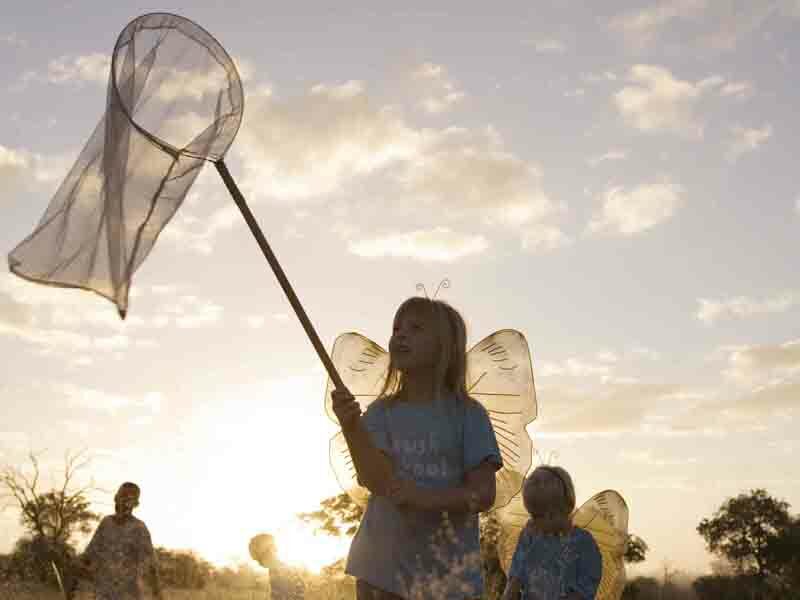 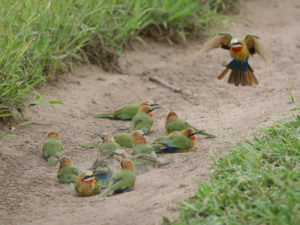 There is plenty of opportunity for bird watching – especially in the summer months – and you can even visit a local community for an insight into Shangaan village life.